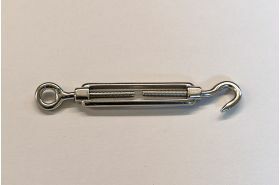 Also called turnbuckles, these are used to keep the tension in wire ropes on netting frameworks. They have a hook at one end and an eye at the other, with a spring mechanism in between. You’d probably want to use one for every 10 metres of 2mm wire rope. We sell M5, M6 and M8 barrel strainers in high-grade stainless and galvanised steel. 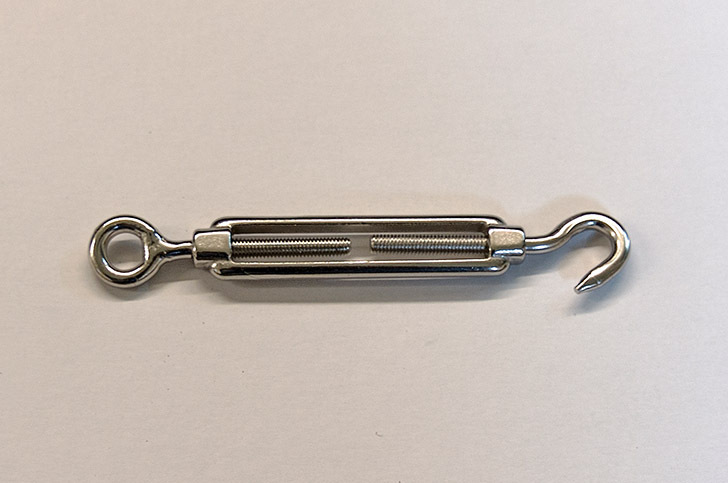 To install, open fully and hook on to a corner fixing, before threading wire rope through the eye – then pull tight. Make the wire nice and taut by closing the barrel strainer.